The congregation that fills this stately sanctuary was founded in 1908 in Manning. 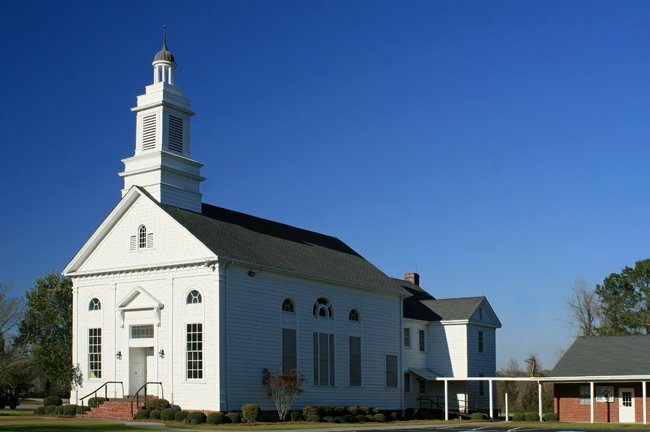 Without its own church building, the group of Baptists initially met in the Clarendon County courthouse before utilizing a building in nearby Alcolu called The Chapel by 1910. The congregation quickly grew after this move and by 1914 had grown to include nearly 100 members. This church was built and dedicated in September of 1914. Over time, the church has added more buildings to its campus. However, its newest building is likely its oldest. In January of 2015 the Alcolu Preservation Society was given an early twentieth century mill house from the town’s beginnings. The house was moved to the grounds of the church, and the preservation group is hoping to restore it as a museum of Alcolu history. The mill town of Alcolu was established in 1885 by David Wells Alderman, who operated a sawmill. The town’s name is a combination of the first two letters of Alderman’s last name, the first two letters of his partner’s name – Colwell – and the first two letters of his wife’s first name, Lula. An active mill town developed around Alderman’s business, which eventually included a logging operation and a cotton gin. 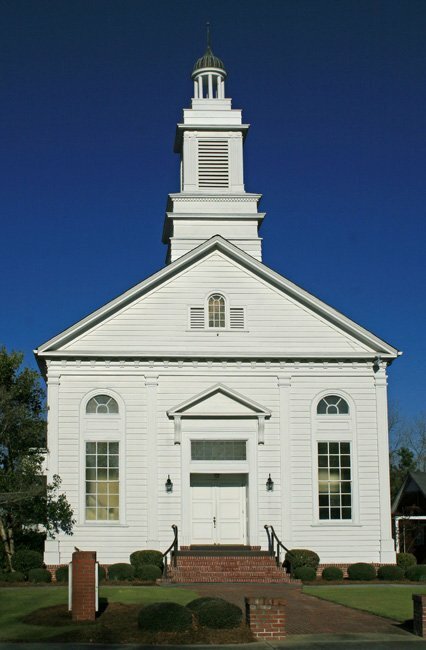 As Alcolu grew, so did Clarendon Baptist Church, which remains a vibrant part of the community.